Only 4 days to go until Dave and I arrive at the Burning Man festival. Costume prep has been going well so I thought I’d post a few pics of our progress. I would be considered remedial at best when it comes to sewing. As I’ve been working on my costumes I sorely wished that my crafty friends Sarah, April and Jackie lived closer to lend a skilled hand. However, I have been pleased with how things are turning out so far. 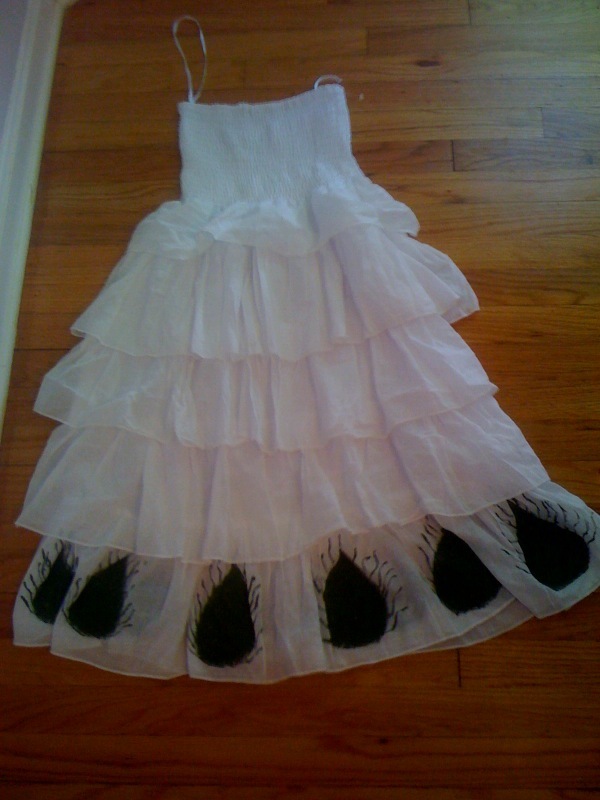 white sundress with painted peackcock feathers. This has been time consuming so I'm not sure if I'll paint feathers all over everything. I found a couple of cheap sundresses at thrift stores & decided to adorn them peacock-style. Since the weather in the day will be over 100 degrees I wanted to find something cool and confortable. At night it can get into the 40s, there are dust storms and 40 mile per hour winds that blow across the dry desert. So, I’ve been trying to combine practicality with creativity realizing that everything will be filthy dirty with the dust the whole week. just needs some glitter! I think the "feathers" will look cool rustling in the wind. It’s going to be a little MadMax meets peacock fabulousness. Our order of military grade goggles to shield our peepers in the dust storms arrived this week as did our day-pack camel backs to ensure that we don’t get dehydrated and wither away. On another happy note, I found out that Alan Hirsh will also be at Burning Man. 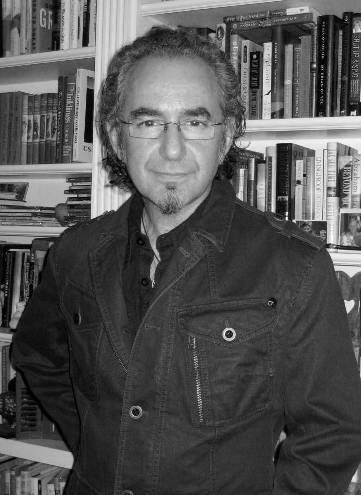 Alan Hirsch- one crazy Australian who is crazy about Jesus! I took a class led by him at Wheaton earlier this year & have deeply appreciated his writing and thoughts on how to return to a more relationally connected and missional church. I felt like my mind was totally blown after his class & I really began to grapple with the implications for my life and ministry after I read his books The Forgotten Ways and Untamed which he and his wife Debra co-wrote. Spiritually, Dave and I have been talking and praying about the trip. As we spend time with Jesus we’ve been praying for the people we’ll meet, praying for physical protection from the elements and heart protection from the inevitable darkness we’ll encounter amidst the revelry. I do feel like God has been preparing the way for us already- I was able to make a connection that led to an invite to a “burning nerds” cocktail hour for professors or graduate students. I can’t even begin to imagine what this gathering will be like but I’m thrilled to meet other academics who have a penchant for wild costumes and extreme camping and go with my classmate Nicole & professor Rick. Apparently Larry Harvey the founder of Burning Man will be making an appearance- I feel like God has already given us some divine appointments & connections! Man, you are creative! 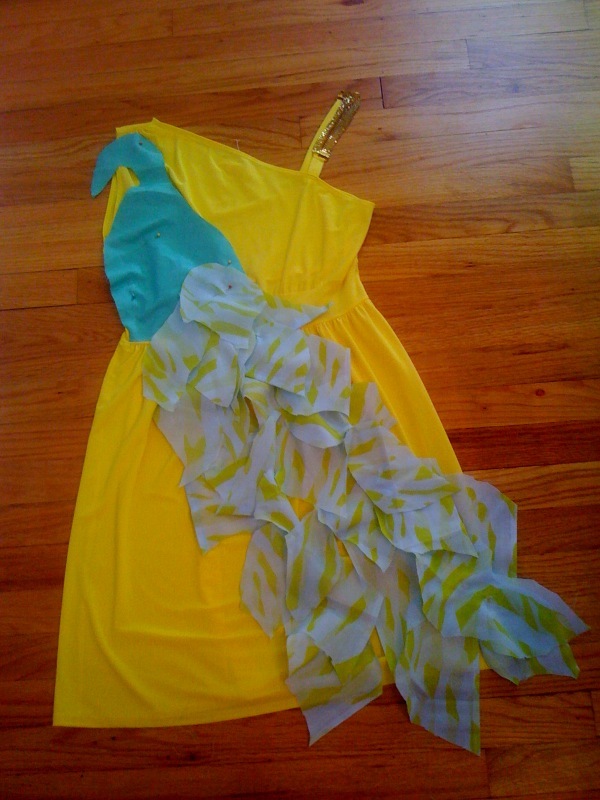 Those dresses look cool–especially like the yellow one with the feathered look. I wouldn’t have thought of that! You did a great job for not being a sewer! 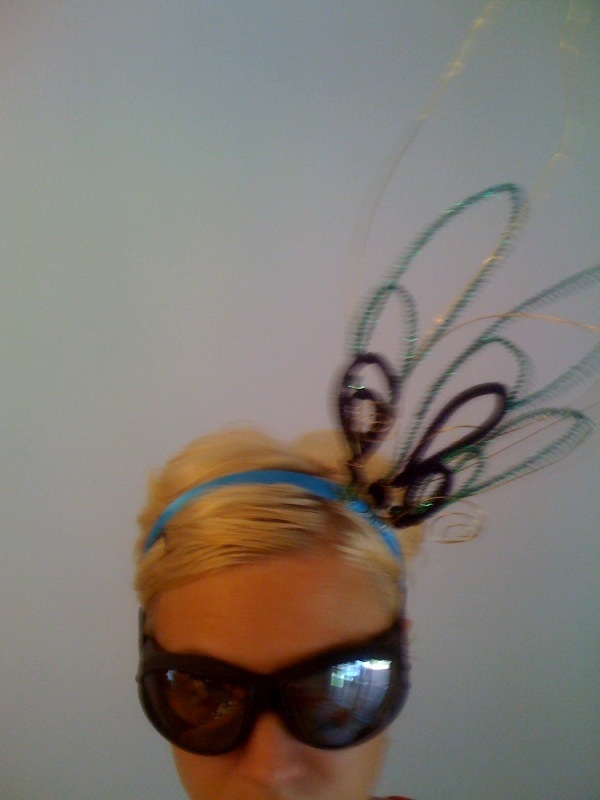 And the peacock headpiece is COOL. Can’t wait to see the whole ensemble together and who Dave steps out as! Praying for you guys. It takes a really strong person to attempt what you’re doing and I admire that. God will protect you.